Directly below the most recent Sykes “Entering Big Bottom . . . ” post for Syke, with Our Daily Sykes #213 on Lyons Ferry please note that Jean has surprised us all by adding the photos he took on his visit to Lyons Ferry for our book Washington Then and Now. Look closely at the reflection of the clouds in his splendid and spectacular panorama. Next notice also in the pan how the rock formation on the far bank, to the left of the copse of trees in Lyons Ferry State Park, resembles a ruin of St. Sophia in Istanbul. (It was Constantinople.) It even includes a corner minaret – incipient or in ruins. 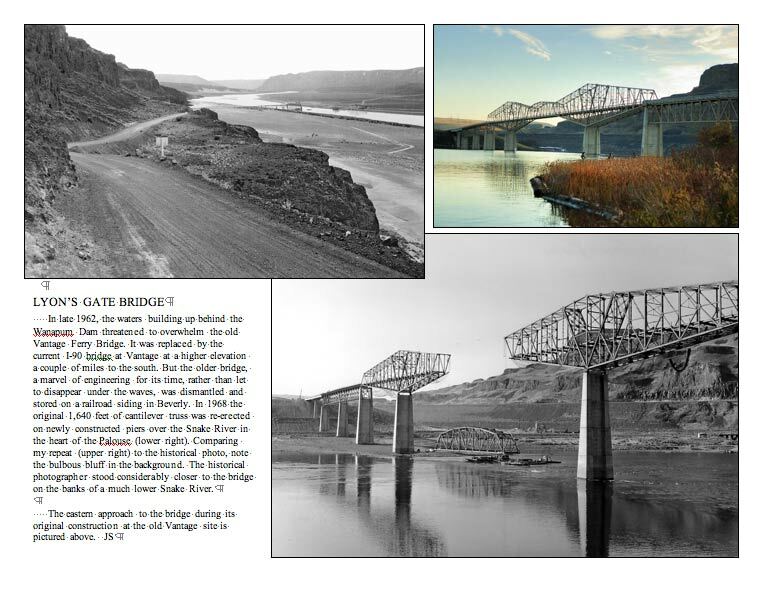 Below is a mock-up (still with typos any my dimwitted naming of it for the other Lyons bridge, the one with a “gate” in Vancouver B.C.) 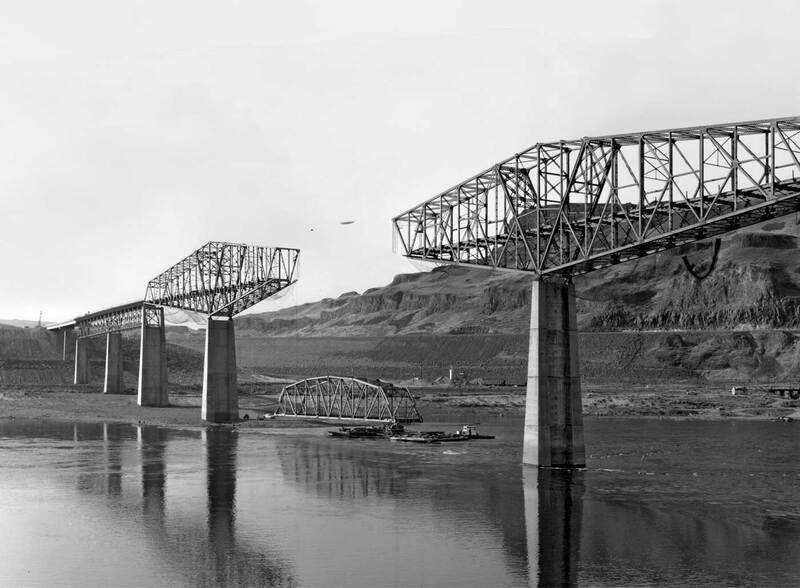 for the subjects used in the book, although it was printed without the third photograph showing the Vantage Bridge under construction at its original site – Vantage – recorded in the 1920s from the old road on the east side of the Columbia River.